Ariana Grande's Road to "Thank U, Next"
After much anticipation and plenty of excitement, the music superstar officially released her Thank U, Next album Friday at midnight. In addition to top hits including "7 rings" and "thank u, next" the album has a total of 12 tracks. And in celebration of the release, Ariana just so happened to release a brand-new music video for "Break Up With Your Girlfriend, I'm Bored" starring Riverdale's very own Charles Melton. In the risqué video, Ariana tries to steal Melton away from his onscreen love interest, who looks eerily similar to herself. "hello happy thank u next (album) day," Ariana shared on Twitter while keeping fans guessing until the very end about her music video. "i love u very much." In the weeks leading up to the release, Ariana has delighted fans with her latest songs from the album. And yes, people are still laughing over Kris Jenner's cameo in the "thank u, next" music video. At the same time, Ariana has made it clear that 2019 is going to be a fresh start where she puts her music and fans first. "I look forward to hopefully learning to give some of the love and forgiveness that I've given away so frivolously and easily to men in the past to myself this year," she shared when accepting Billboard's Woman of the Year award in New York City. "I'm really looking forward to embracing whatever happens and whatever comes my way." For starters, the 25-year-old is preparing to hit the road for a massive tour. Kicking off March 18 at Times Union Center in Albany, New York, the shows are expected to feature both new and old hits. When it comes to dating, the singer made it clear on social media that she isn't interested. 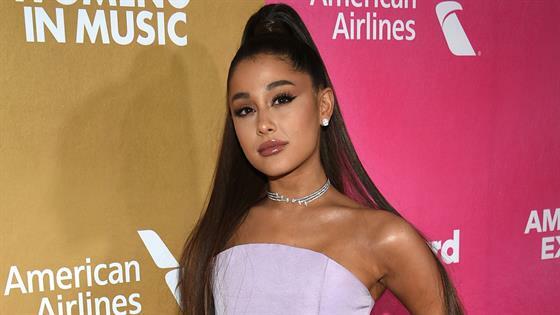 And while she may be nominated for Best Pop Solo Performance and Best Pop Vocal Album at the 2019 Grammys, Ariana told her fans she won't be attending this weekend's bash. As Ariana likes to say, thank you, next opportunity.